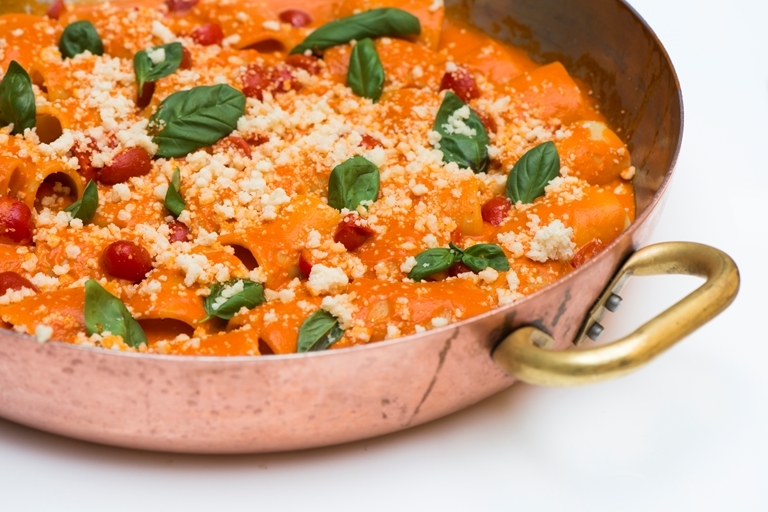 This traditional pasta recipe comes from Vittorio, Enrico and Roberto Cerea's father. The paccheri pasta (large tube shapes) is served in a simple tomato sauce, made from both tinned and fresh tomatoes, and topped with Parmesan. If serving to vegetarians, swap the Parmesan for a suitable hard cheese that uses vegetable-based rennet.